Generate Hypothesis: Once you’ve identified a goal you can begin generating A/B testing ideas and hypotheses for why you think they will be better than the current version. Once you have a list of ideas, prioritize them in terms of expected impact and difficulty of implementation. Create Variations: Make the desired changes to an element of your website or mobile app experience. This might be changing the color of a button, swapping the order of elements on the page, hiding navigation elements, or something entirely custom. Many leading A/B testing tools have a visual editor that will make these changes easy. Make sure to QA your experiment to make sure it works as expected. Each group sample is drawn from a normally distributed population. All populations have a common variance. All samples are drawn independently of each other. Within each sample, the observations are sampled randomly and independently of each other. After fitting an ANOVA model it is important to always check the relevant model assumptions. This includes making QQ-plots and residual plots. Analyze Results: Once your experiment is complete, it’s time to analyze the results. Your A/B testing software will present the data from the experiment and show you the difference between how the two versions of your page performed, and whether there is a statistically significant difference. If your variation is a winner, congratulations! See if you can apply learnings from the experiment on other pages of your site and continue iterating on the experiment to improve your results. If your experiment generates a negative result or no result, don’t fret. 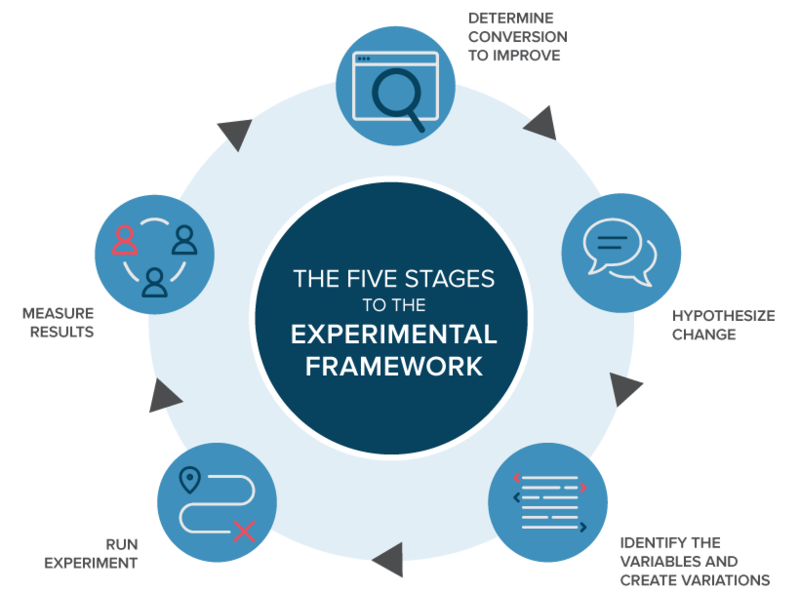 Use the experiment as a learning experience and generate new hypothesis that you can test. No Cloaking – Cloaking is the practice of showing search engines different content than a typical visitor would see. Cloaking can result in your site being demoted or even removed from the search results. To prevent cloaking, do not abuse visitor segmentation to display different content to Googlebot based on user-agent or IP address. Use rel=”canonical” – If you run a split test with multiple URLs, you should use the rel=”canonical” attribute to point the variations back to the original version of the page. Doing so will help prevent Googlebot from getting confused by multiple versions of the same page. Use 302 Redirects Instead Of 301s – If you run a test that redirect the original URL to a variation URL, use a 302 (temporary) redirect vs a 301 (permanent) redirect. This tells search engines such as Google that the redirect is temporary, and that they should keep the original URL indexed rather than the test URL. Run Experiments Only As Long As Necessary – Running tests for longer than necessary, especially if you are serving one variation of your page to a large percentage of users, can be seen as an attempt to deceive search engines. Google recommends updating your site and removing all test variations your site as soon as a test concludes and avoid running tests unnecessarily long.